Artists, past Charlotte Street Fellows, and Drugstore Studio residents Dylan Mortimer and Misha Kligman will sit in barber chairs for the first event of M.O.I’s Rocket Grant Project Cut Your Hair In The Socialist Style. The event itself will not be about socialism, but instead will be chopping up heady topics such as “sports as collectivism” and “art as individualism” Audiences are encouraged to bring an opinion and share it. 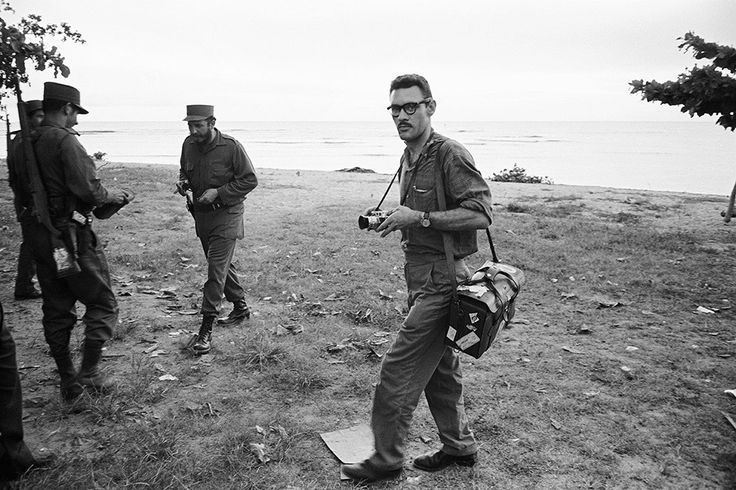 The Nelson-Atkins Museum of Art in Kansas City has organized a free, three-venue exhibition of the photographs of Cuban-born photographer Jesse A. Fernández. This is the first and largest compilation of his work ever presented in the U.S., is curated by Jane Aspinwall, Associate Curator, Photography at the Nelson-Atkins. PLUG’s September national exhibition features work by Lauren Frances Adams, Caroline Wells Chandler, Yijun Liao, and Yvonne Osei. All artists are challenging normative patriarchal structures through fiber, photography, film, and multimedia installations. In PLUG’s Local Solo space, Yoonmi Nam’s new sculptural work will be featured. Nam’s work is in response to the parade of disposable objects we encounter on a daily basis. There will also be a FREE zine available featuring some of Nam’s daily drawings of junk mail and other common piles. This last month, Kiosk Gallery has been focused on a Sound Art Residency Collaboration with Black House Collective. Resident sound artist Jason Charney has created an installation with steel bowls that function as resonant vessels, utilizing ambient noise in the gallery to create responsive sound and light. Missouri artist Travis Pratt presents “There Then,” a series of new, large-scale paintings that tell a personal story of places and objects to relate moods about universal truths. The St. Johns River in Geneva, Fla. present a backdrop for his works that includes mossy oaks, cypress knees and black waters. Varying colors communicate the energy and emotion of his exploration of complex events. Pratt is a 2008 graduate of the Kansas City Institute (Ceramics). In 2011, after an F5 tornado struck his hometown of Joplin, Missouri, he returned from his home in New York to help with the cleanup. He then spent the next three years creating The Joplin Paintings, a body of work based on photographs he took of his extended family’s homes, many of which were devastated by the tornado. Shelf Life is a bi-monthly storytelling event featuring objects and the stories behind them. Hosted by David Wayne Reed. This month’s round features stories and objects about the idea of winning. As a part of Caitlin Horsmon’s exhibition Practical Optics, that features a working Camera Obscura taking over most of the gallery, Front/Space presents a workshop by Adam Finkelston. This participatory workshop will allow the audience to make cameras out of ordinary boxes and light tight containers. To raise money to travel to the upcoming Common Field conference in Miami, Archive Collective will be hosting a fundraiser to support Olivia Clanton and Brandon Frederick. A small documentation station/headshot service will be provided. $20 for headshots $10 for small works. Apparently there will also be dog horoscope readings, and other fun activities. July 2015 Fourth Friday Radar!